The Midlands city of Kwekwe has been rocked by serious incidences of political violence since the formation of the opposition, Movement for Democratic Change (MDC) . Scores of MDC activists were either beaten or killed as a result of being aligned to the party and terror groups such as the infamous and notorious “Al Shabaab” are known for unleashing violence and terror in the town. But this has not deterred 28 year old Nkosinathi Moyo from being an active political activist who integrates and educate young people in democracy and good governance issues in the town. 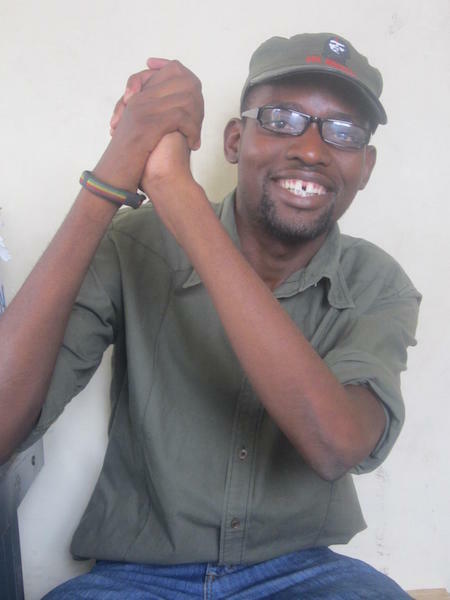 Nkosinathi who is the founder and Director of the Zimbabwe Organisation for Youth in Politics (ZOYIP) says that his mission is to educate young people in the Midlands province about the rule of law and democracy. “I was motivated to set up ZOYIP in 2008 following the violence that was orchestrated by ZANU PF following the winning of the MDC in the elections. A lot of young people were killed in the country and what pains most is that the violence was being pushed by young people. Our message as ZOYIP is that we have to preach the message of peace in the province and shame all individuals that do promote it,”said Nkosinathi. He added that he has been threatened with violence by some ZANU PF members in the town but that won’t deter him from doing his work. “I face threats at times from some known ZANU PF members but that will not deter me from carrying the mission of ZOYIP. We will continue educating young people on the dangers of violence as well as the importance of democracy and good governance,” he added. ZOYIP is a membership based organisation based in Kwekwe but is affiliated to other civic society organisations in the country.